No matter where you live, if you're a professional sailing instructor, you can increase your business with NauticEd. Consider NauticEd as your back-office Sailing School where all the details of theory and certification paper work are taken care of for you. You simply do what you do best - teach sailing students on-the-water practical skills. Note: To qualify as a NauticEd Sailing School Instructor you must be legally qualified to teach boating operations in the country you reside in. For example, in the USA you must hold a USCG Captain's license to legally be able to teach for financial remuneration. By applying for NauticEd Instructor Status - you are verifying that you are legally able to teach boating operations in your country. Additionally, you must be associated with a professional and established Sailing School and have a professional web presence. Watch our 3 minute video on how students gain a NauticEd sailing certificate. Make sure your sailing school is signed up with NauticEd. Sign up as a NauticEd instructor. 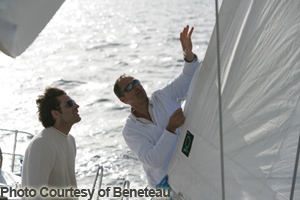 Get started now by signing up as a NauticEd Sailing Instructor.